Cheap Weekend Fun in Boston for March 28-29, 2015! There’s a lot of fun things to do in Boston for the last weekend in March! 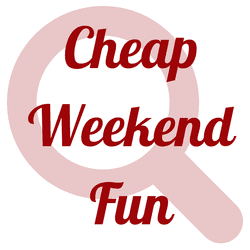 Please let me know in the comments below if I missed any fun and cheap events! Boston Design Week: March 19-29, 2015 in the Greater Boston area. Last weekend to check out Boston Design Week with many different events celebrating design in Boston with many events for free. Shrink at Ink: Saturday, March 28, 2015 in the South End. Head to the South End from 10-11am on Saturday for a free Pilates class! Pics in the Park: Sunday, March 29, 2015 at Franklin Park in Dorchester. Enjoy a free photography workshop with a professional photographer. All levels and skills welcome. The Big Apple Circus is also underway in Boston, and you can find discount tickets and promo codes to the circus as well as discount tickets to the Boston Duck Tours!